Rev. John I. Jenkins, C.S.C., president of the University of Notre Dame, signed the “It’s On Us” pledge Thursday (Oct. 27) in a ceremony in his office. He was joined by Becca Blais and Grace Watkins, the student government vice president and University policy liaison, respectively. Father Jenkins spent time speaking with C-SPAN discussing the format of the event, his experiences on the Commission and why presidential debates are hosted on college campuses. 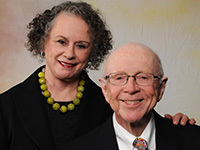 Marilyn Keough and her late husband, Don, were among the most generous benefactors in Notre Dame’s history. Throughout the excursion from Aug. 13 to 26, participants will walk as a community, building in momentum and number as the travelers draw closer to campus. A statewide torch relay, which kicked off on Sept. 9 as part of Indiana’s bicentennial celebration, is scheduled to pass through St. Joseph County this weekend. 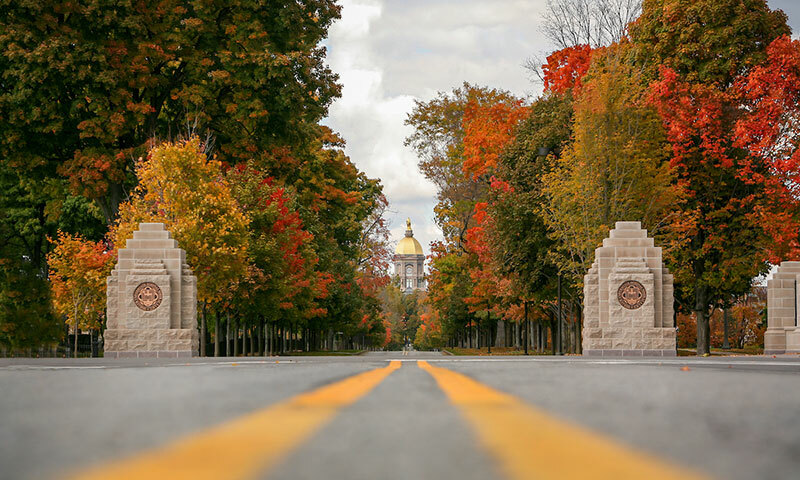 On Saturday (Oct. 8), the torch will travel through parts of St. Joseph County, including the University of Notre Dame campus, in the hands of five Notre Dame representatives who have been selected as local torchbearers, including University President Rev. John I. Jenkins, C.S.C. 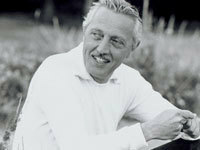 Jerome Lejeune, born in 1926 in Montrouge, France, established the first specialized clinic for Down syndrome patients at Necker Children’s Hospital near Paris. 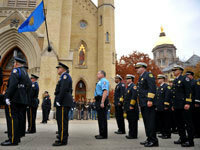 The Blue Mass for police officers, firefighters, emergency medical technicians and their families will be celebrated at 5:15 p.m. Oct. 6 in the Basilica of the Sacred Heart. In his second term as poet laureate of the United States, Juan Felipe Herrera will visit the University of Notre Dame on Oct. 5 and 6 (Wednesday and Thursday). Herrera’s stay on campus includes a poetry reading with opening remarks from University President Rev. John I. Jenkins, C.S.C., as well as a reception and visits and lunch with students. 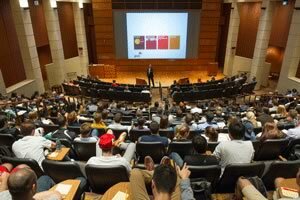 The University of Notre Dame’s Mendoza College of Business kicks off its Boardroom Insights Lecture Series on Friday (Sept. 16) with a talk by Jack Brennan, chairman of the Notre Dame Board of Trustees. The University of Notre Dame examined the presidential campaign through the lens of debates past and present during its 2016 Notre Dame Forum Wednesday night (Sept. 14). 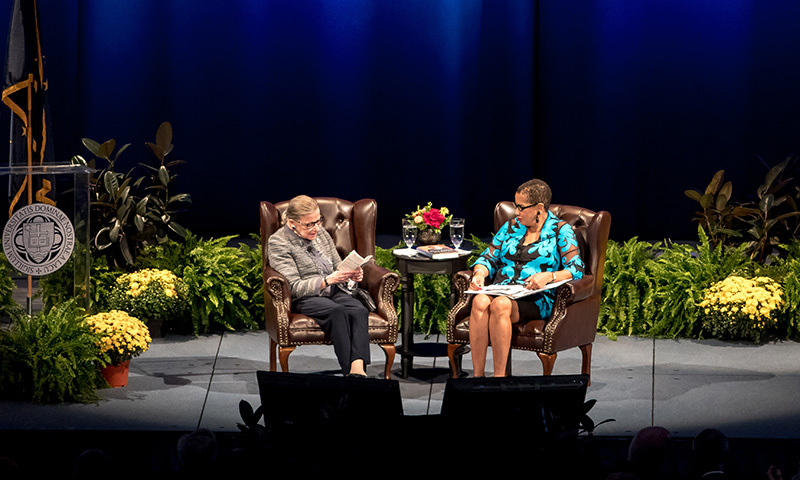 In a reflective, frank and often wryly humorous conversation with U.S. Supreme Court Justice Ruth Bader Ginsburg Monday night (Sept. 12) at the University of Notre Dame’s Purcell Pavilion at the Joyce Center, the justice offered insights into her upbringing, judicial philosophy and hopes for the future of the court. U.S. Court of Appeals Judge Ann Claire Williams, a Notre Dame alumna and Trustee, asked Ginsburg a series of questions on a wide range of issues. A statement from Rev. John I. Jenkins, C.S.C., president of the University of Notre Dame, on the canonization of Mother Teresa of Calcutta on Sunday (Sept. 4). 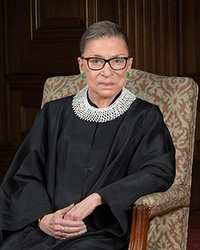 A conversation with U.S. Supreme Court Justice Ruth Bader Ginsburg will take place from 5:30 to 7:30 p.m. Sept. 12 (Monday) at the University of Notre Dame’s Purcell Pavilion at the Joyce Center, University President Rev. John I. Jenkins, C.S.C., announced Tuesday (Aug. 30). 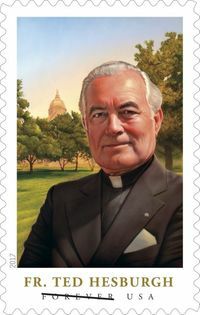 University of Notre Dame President Rev. 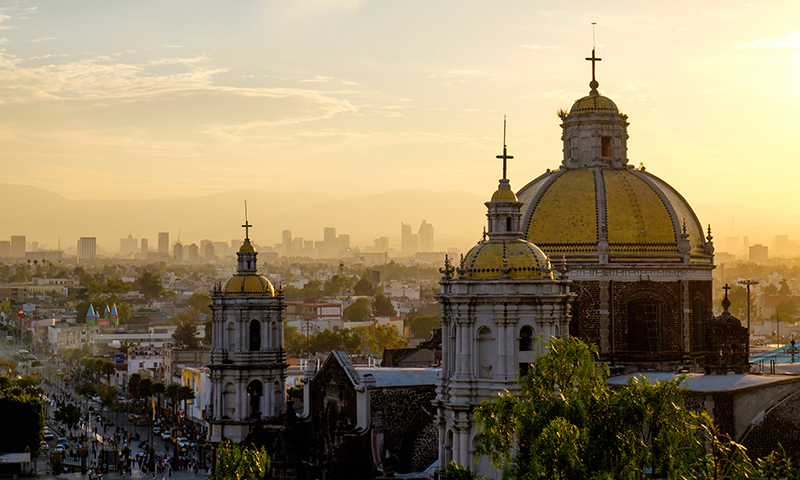 John I. Jenkins, C.S.C., is joining a University delegation this week on a trip to Mexico City to continue strengthening relationships and growing Notre Dame’s presence in academic, business, Church and government sectors there. The trip, which includes Global Forum: Latin America, is designed to bring together University leaders including Father Jenkins and Thomas G. Burish, Charles and Jill Fischer Provost, along with alumni, parents and friends to explore global issues in the context of the University’s mission to promote human solidarity and concern for the common good, with a particular focus on Latin America. 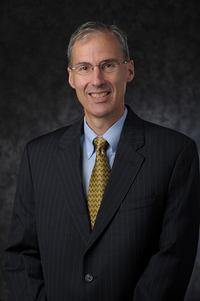 After two decades in which he made the University of Notre Dame’s finance division one of the most robust in all of higher education, Vice President for Finance John A. Sejdinaj has accepted an appointment as vice president and chief financial officer at Indiana University. 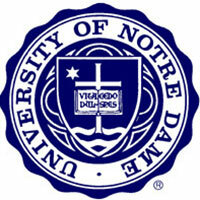 The University of Notre Dame has agreed to steward Newman University Church in Dublin, and to found there the Notre Dame–Newman Center for Faith and Reason. 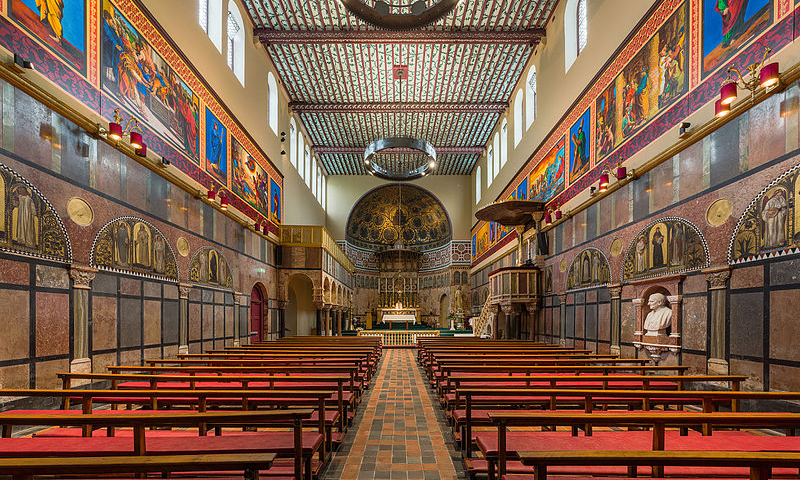 Built by the then-rector of University College Dublin, Blessed John Henry Newman, the church opened in 1856 and has since been an iconic landmark in Dublin’s city center and a testament to the harmony of faith and reason. Newman would later be named a cardinal of the Catholic Church, and was beatified by Pope Benedict XVI in 2010.